Afghan Hounds: What's Good About 'Em? What's Bad About 'Em? Afghan Hounds: the most honest dog breed review you'll ever find about Afghan Hound temperament, personality, and behavior. The AKC Standard calls him "an aristocrat, his whole appearance one of dignity and aloofness.... eyes gazing into the distance as if in memory of ages past." Some Afghan Hounds are indeed dignified, while others are altogether silly clowns, and still others alternate gleefully between the two. Though quiet indoors, the Afghan Hound should not be left unsupervised for long periods of time without personal attention and running exercise, for he bores easily and then he can become seriously destructive. Standoffish by nature, the Afghan Hound needs extensive exposure to people and unusual sights and sounds so that his caution does not become timidity. He is sociable with other dogs, but has strong hunting/prey instincts and so he may chase smaller pets. This needs to be stopped immediately. Obedience training will control his bumptiousness and build his confidence, but you must be patient and persuasive, for sighthounds are extremely sensitive to leash jerking. They could respond defensively if frightened. Independent and not particularly eager to please, their stubbornness takes the form of resistance rather than wild disobedience, i.e. they brace their legs and refuse to walk. Don't let this breed off-leash, for he is blazing fast and can gallop out of sight in seconds. His high hipbones make him one of the most agile of all breeds and one of the best jumpers. Your fences should be at least 6 feet high, preferably 7 or 8 feet. An Afghan Hound may be right for you. An Afghan Hound may not be right for you. Keep in mind that the inheritance of temperament is less predictable than the inheritance of physical traits such as size or shedding. 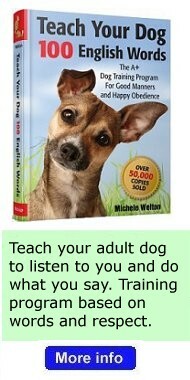 Temperament and behavior are also shaped by raising and training. You can avoid some negative traits by choosing an ADULT dog from an animal shelter or rescue group. With an adult dog, you can easily see what you're getting, and plenty of adult Afghan Hounds have already proven themselves not to have negative characteristics. If you want a puppy, you can avoid some negative traits by choosing the right breeder and the right puppy. Unfortunately, you usually can't tell whether a puppy has inherited temperament or health problems until he grows up. 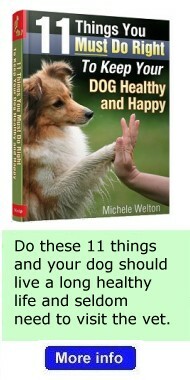 Finally, you can avoid some negative traits by training your Afghan Hound to respect you and by following the 11-step care program in my book, 11 Things You Must Do Right To Keep Your Dog Healthy and Happy. Providing enough running exercise in a safe enclosure. Afghan Hounds don't need miles of running, but they can't get by with a small yard and leashed walks around the block. They need regular access to a large fenced area – fenced because these dogs are chasing addicts with sharp eyesight for movement. If something catches their attention on the horizon, they will take off and not come back. The fence should be high – Afghan Hounds can clear six feet with little effort. 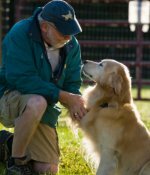 See if there is a dog club in your area that offers an activity called lure coursing, which is chasing a mechanical lure in a controlled setting. This is an appropriate outlet for the full-speed galloping behaviors that are "hardwired" into your Afghan Hound's genes. Chasing other animals that run. Afghan Hounds are usually fine with the pets in their own family. But they are lightning-fast, and individuals with a strong prey instinct could seriously injure or kill any small running animal. Grooming. 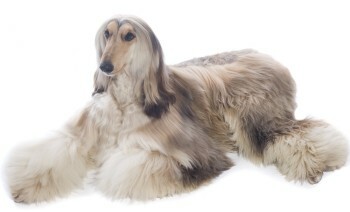 Without frequent brushing, Afghan Hounds become a matted mess. 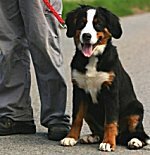 If you can't commit to the brushing, you have to commit to frequent trimming or clipping to keep the coat short and sanitary. A shorter coat is really easy to care for. The independent temperament. Sighthounds are very different from other kinds of dogs. They are independent thinkers who don't particularly care about pleasing you. They may display passive resistance by bracing their legs and refusing to move. You must show them, through absolute consistency, that you mean what you say. 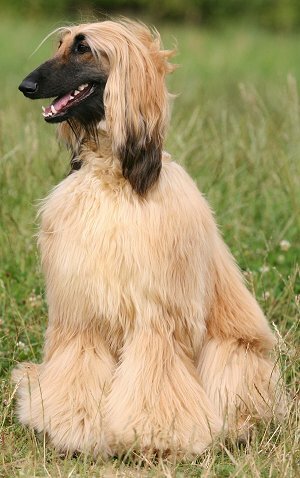 Read more about Afghan Hound Training. Providing enough socialization. Standoffish by nature, Afghan Hounds need extensive exposure to people and to unusual sights and sounds. Otherwise their natural caution can become extreme shyness, which is difficult to live with. Emotional sensitivity. Be honest... is there tension in your home? Are people loud or angry or emotional? Are there arguments or fights? Afghan Hounds are extremely sensitive to stress and can end up literally sick to their stomachs, with severe digestive upsets and neurotic behaviors, if the people in their home are having family problems. Sighthounds are peaceful dogs who need a peaceful, harmonious home. If you have young children, I do not recommend an Afghan Hound. These sensitive dogs often feel overwhelmed by the loud voices and quick movements that children can't help making – and stress and shyness may be the result. 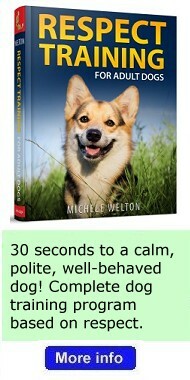 Michele Welton has over 40 years of experience as a Dog Trainer, Dog Breed Consultant, and founder of three Dog Training Centers. 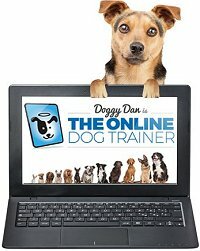 An expert researcher and author of 15 books about dogs, she loves helping people choose, train, and care for their dogs.